So if you make additions or changes to Kate, please let us know, create a patch and send it to review board, come to our developer sprints, come to the annual KDE conferences… Talk to us, usually we are all pretty friendly and really happy about every single contribution! The reasoning behind removing trailing spaces while editing is that when working on a document, we want to keep our own changes clean of trailing spaces. This way, we can for instance provide patches that are not cluttered with whitespace changes, and we just change lines that we really want to change. The implementation of this feature unfortunately had quite some regressions that we were able to “fix” over time. 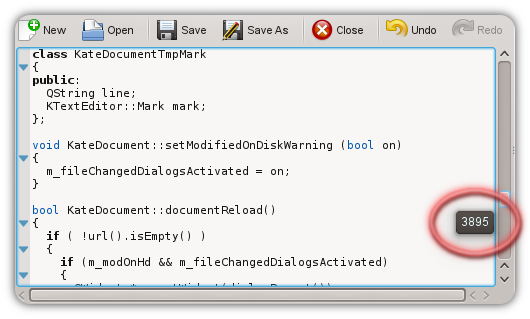 For instance, you do not want to remove trailing spaces if the cursor is currently in the trailing spaces area. This alone means we have to kind of remember that we touched this line, and then remove it later. This was always hacky, and in fact, there are still corner cases that did not work. 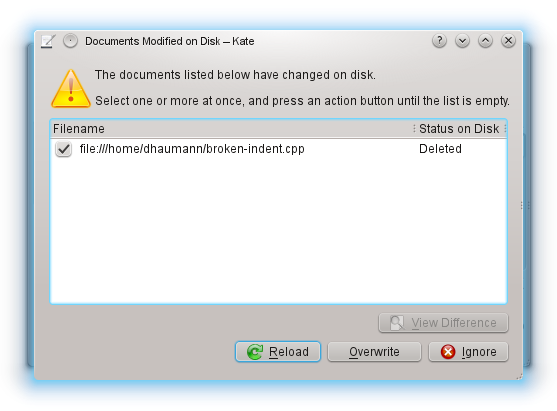 So we only support removing trailing spaces on save from KDE 4.10 on. 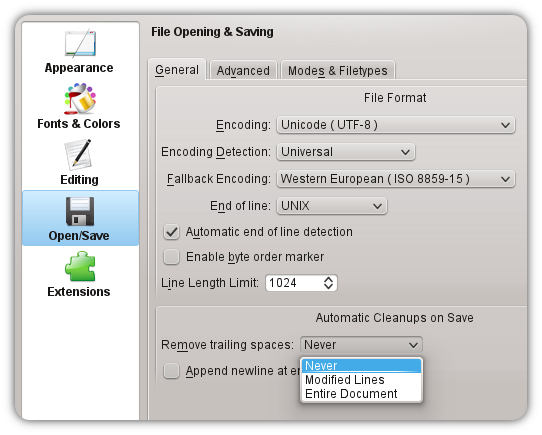 The implementation is now very clean and based on the line modification system available since KDE 4.8: Thanks to this system we know exactly which lines in the document were changed. 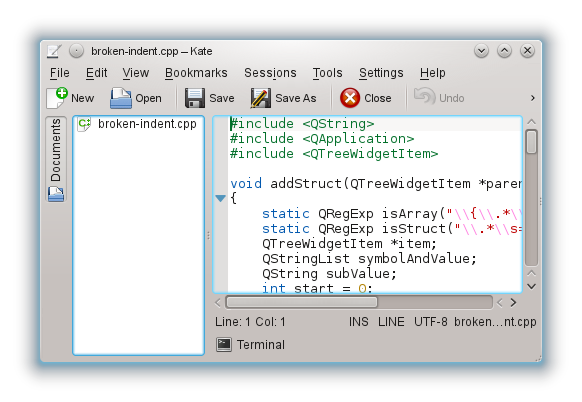 So if you choose “Modified Lines” in the configuration, trailing spaces of these modified lines are removed, and other lines remain untouched. 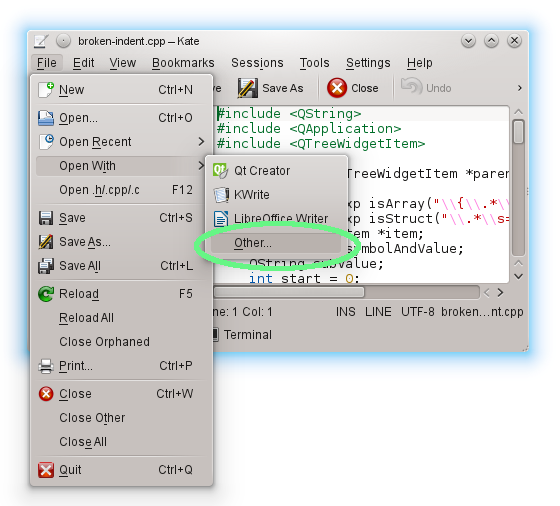 If you choose “Entire Document”, then all trailing spaces in the document will be removed. And, needless to say, “Never” implies that trailing spaces are never removed. 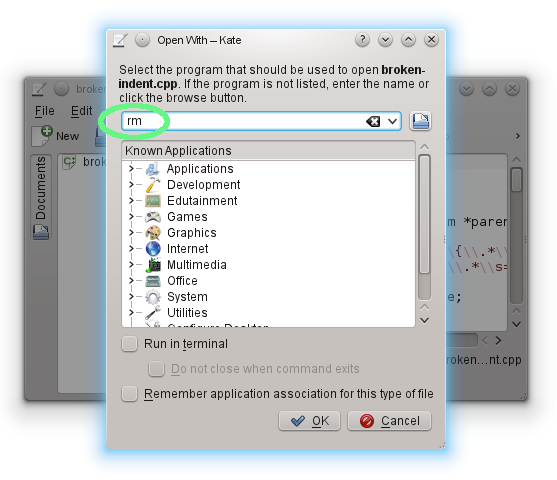 PS: This tip comes from the KDevelop developers. So all Kudos and Cake go to them! PPS: We are working hard at the Kate/KDevelop sprint in Vienna to provide the best tools for our users!